Baptism – What’s the BIG DEAL? One area Baptists and paedobaptists commonly agree is that there are only two ordinances given to the church, contrasted with the seven claimed by the Roman Catholics. While we agree on what these two ordinances are – baptism and the Lord’s Supper – we do not agree on some of the details, particularly as regards baptism. We baptize believers – by submersion. We’re in the minority. 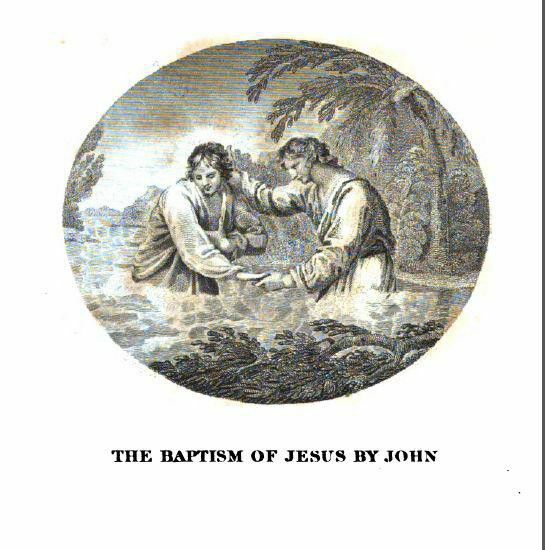 Denominations that practice infant baptism include Roman Catholics, Eastern and Oriental Orthodox, Anglicans, Lutherans, Presbyterians, Methodists, some Nazarenes, the United Church of Christ (UCC), Moravian Church, Metropolitan Community Church, Wesleyans, and Episcopalians. There are those who believe baptism is salvific – Church of Christ, Disciples of Christ, and those who hold to Federal Vision. I will not go into that discussion, just know they are out there. Baptists have long loved to call themselves – ourselves – “people of the book”, denoting our claim to being among those who stand on the sure foundation of Scripture and under the authority of Scripture. May this be true of us, as many wise and solid sounding arguments have been marshaled in support of the opposing view of baptism – the sprinkling of little ones. I do not want to spend much time explaining why the paedobaptist view on baptism is wrong, I will appeal to a few of their finest theologians to tell us they are wrong. This entry was posted in Encouragement, Expository Moments, Theology and tagged baby Baptism, baptism, Baptist. Bookmark the permalink. ← America Abandoned By God! Thanks for the message. Just finishing a seminary class on early Church history and it deals at length with this subject. I think it is important for people to understand what and why they believe what they do, and not simply because it is what their church teaches. You’re welcome, my brother. I agree with you – we should never follow traditions without proving them in light of Scripture. The book I mentioned in the message is a most excellent look at church history, available many places for free on-line. Andrew Miller’s Church History or Short Papers on Church History (as each chapter is a short paper). Thanks for your kind comments – and for your excellent defense of the Word on that article you linked to! Regarding Luther – he was used by God, no doubt. He was imperfect, no doubt. He was, as all of are prone to be, trapped in his personal context and he was unwilling to examine his personal presuppositions in light of Scripture. Chapter 37 of Miller’s Church History is a sad look at Martin’s pig-headed clinging to the wooden-headed Roman Catholic view of the Lord’s Supper. Luther’s compromise – consubstantiation – is just as much at war with Scripture as the Roman Catholic doctrine of transubstantiation but requires even more suspension of thought and reason. Christ is physically with the bread and wine but not in it? I don’t think either one is true, but at least the Roman can worship his bread and hold it in his hand – it is physical. The other is a complete magic trick.